As a home or business owner with property on a septic system, you understand the importance of keeping your septic tank in good, working condition. But occasionally, your septic tank may overflow, often at the worst of times. To prevent septic tank overflow, your septic tank should be properly maintained. 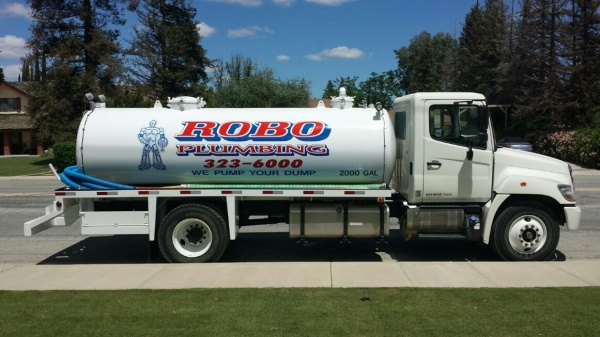 Robo Plumbing offers a range of septic services in Bakersfield, CA and all of Kern County, including emergency septic tank pumping, acid treatment, and septic inspections. Whether you are experiencing an emergency overflow or just need regularly scheduled septic services, you can rely on your professional Bakersfield plumbing company, Robo Plumbing. After receiving your call, our experienced plumbing technicians will arrive to your location as fast as possible to help you get your septic system in working condition again. In the case of a septic tank emergency, regular maintenance, or a septic inspection, don't hesitate to call your Bakersfield plumbers from Robo Plumbing at (661)323-6000! Interested in Septic System Services?